When we design a pool, we design it custom for you. The cost isn't just based on the size, features, and style you want. Many other factors go into pricing your pool, such as the type of soil in your backyard, utility access, backyard access, the fluctuating cost of materials and labor, and others. Because of these changing costs and other variables, a free design consultation is the best way to get a true estimate. While browsing this page, keep in mind that pools are serious investments, not just in your family's lifestyle, but in the value of your home as well. Because they can help increase the value of your home, you're able to get some incredible financing options to help pay for the pool. In fact, we work with multiple banks to get you more financing opportunities than any other pool builder. If you'd like to explore these options, Natalie Doyle, our brilliant financing manager, would love to speak with you. Contact her here. Every pool is custom and prices will depend on the variables above. Below is a list of all the features that come in our Classic Pool Package. If you'd like to get a current quote, please fill out the form on this page below or call 480-967-9467. To help you visualize what these might look like, we've put together a gallery of "Simple Backyard Designs" below. Most of the pools here have extra features that add to the cost of the pools, but they should give you an idea of what budget-conscious pools can look like. You'll notice landscaping, patios, water features, and other elements that aren't included in the base pool package, these can be added to customize your pool and backyard. If you'd like to quickly get a more specific estimate for your pool, we offer free design consultations. Your consultation is essentially a brief chat with one of our world-class designers about the pool you'd like to build, your backyard, and your budget. While we're financially conscious when building our pools, and we adhere to the same level of craftsmanship on every project, sometimes our customers go all-out when transforming their backyards. 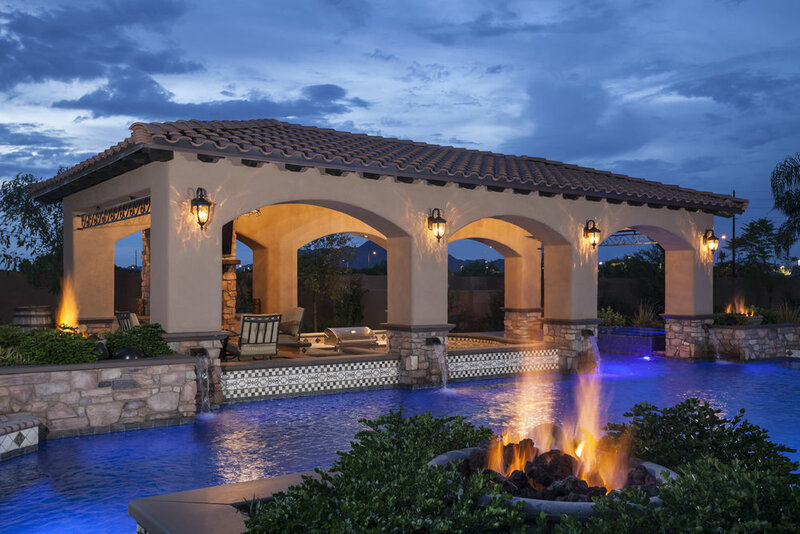 From Tucson to Phoenix, Marana to Scottsdale, Queen Creek to Buckeye, we've had the opportunity to transform all types of incredible backyards and build some of the most beautiful pools in the world. 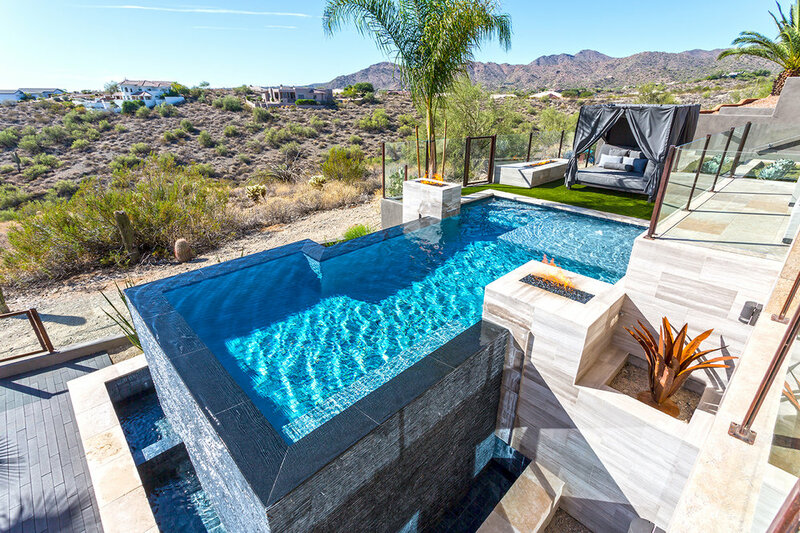 While not everyone can afford to build types of backyards, these luxury Arizona pools can inspire your own project!